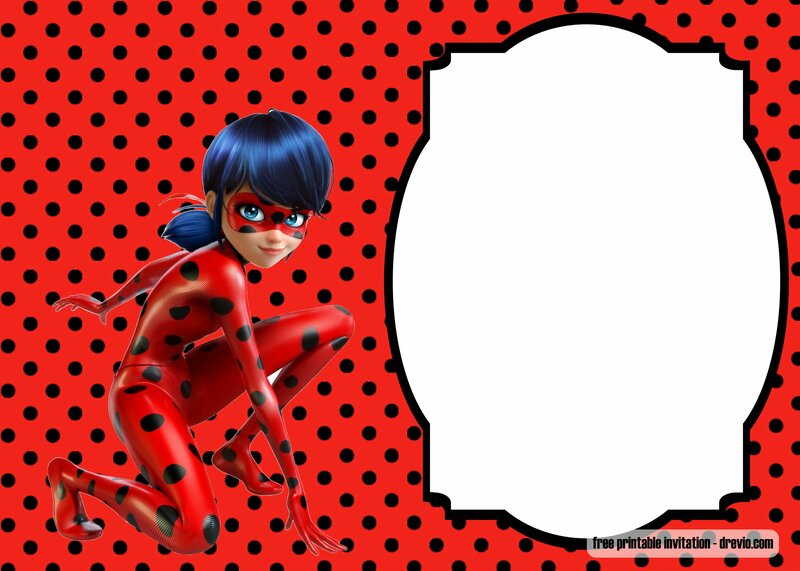 Protect Paris with Marinette! Be a supergirl and punch the bad! 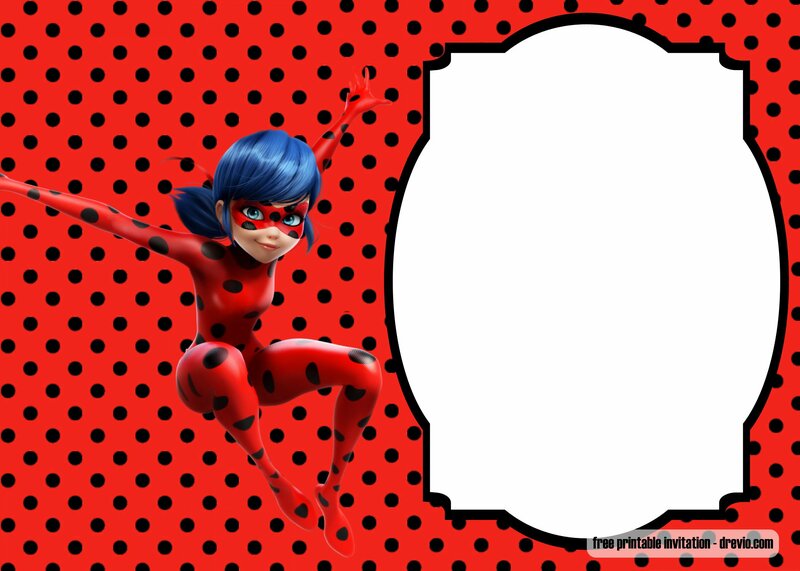 If you are a big fans of Miraculous Ladybug, you can turn to superhero with our free printable Miraculous Ladybug invitation template. Comes with blank and red polka dot style, you can fill the invitations with your birthday party details. Now , you choose! These invitations comes in 5×7 landscape design with high quality image on it. 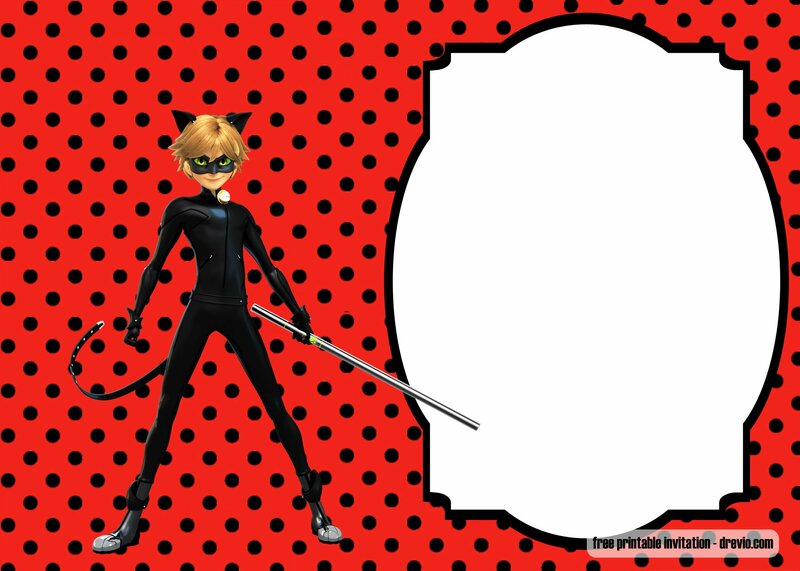 Comes in blank space, you can download and write down the birthday party details on it. Write it with a pen or a marker, but if you are able to use image processing software like Photoshop or Coreldraw, you can add fancy text on it. 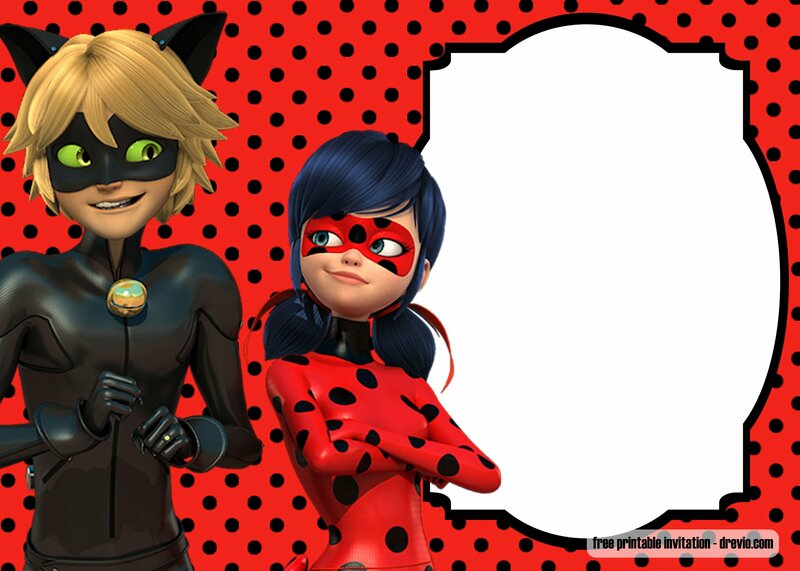 You can use and download FREE Miraculous Ladybug font to make it so authentic. 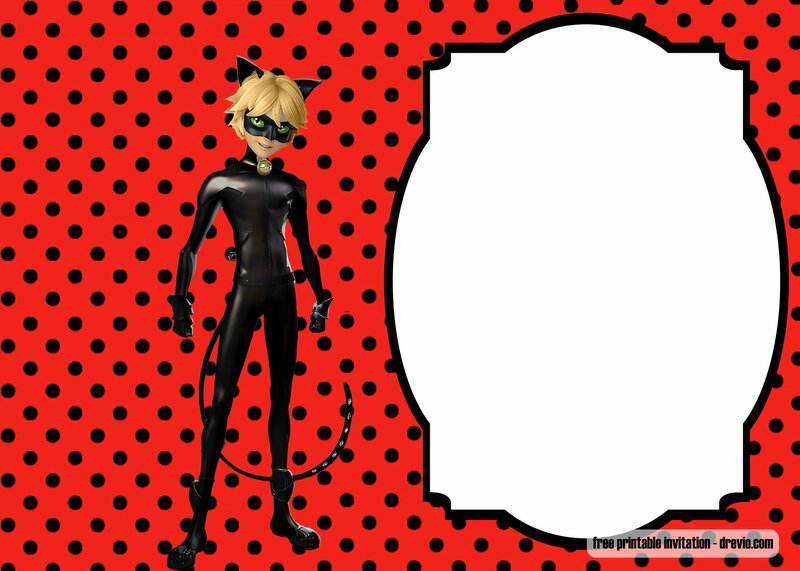 You can go to FontMeme (https://fontmeme.com/miraculous-ladybug-font/). Download the font. You can buy the premium version on Etsy. 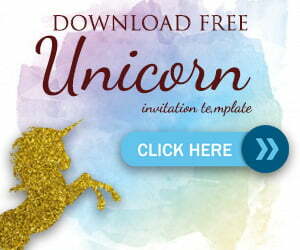 When you’re done, go to your nearest printshop and print the invitation using cardstock paper. It’s cheap. Cardstock paper bring premium feeling, sturdiness, and authenticity.You can buy it from Amazon or another online shop. You can buy the decorations from Amazon too.